The numerous incidents of obviously staged shootings and other violence revealed by investigative sources are most accurately referred to as “State Sponsored Psychological Operations”, or “PSYOPS”. The 2012 NDAA now allows false propaganda to be inflicted on populations of the United States after congress allowed the Smith-Mundt Act to be removed (modernized) – a provision that had protected Americans against social control propaganda since 1948. Since the NDAA is a budget of the US military, it would be no surprise to see the involvement of the United States Army Civil Affairs and Psychological Operations Command (USACAPOC). Subordinate USACAPOC units are scattered around the country in various cities. For example, the 17th Psychological Operations Battalion is located at Camp Mabry in Austin, TX. School shootings come under the category of “violent extremism” by SCNand DHS. Under current definitions, any person using a firearm to defend against alien assault or enemy invasion could be using “violent extremism” to protect life and property. Former Attorney General Loretta Lynch used a fake name (Elizabeth Carlisle) to violate public records law in order to conduct secret Department of Justice business related to the United Nations #StrongCities Network. Lynch claimed it was necessary to “protect her security and privacy and enable her to conduct Department business efficiently via email.” But these covert communications could have hidden the FBI’s plans to carry out fake shootings like Sandy Hook, Orlando, Pulse Nightclub, Parkland, Sutherland Springs, Santa Fe and others from the American Public. Evidence suggests the term “STRONG” was chosen as a double entendre; one meaning is obvious but the other in intended to memorialize long-time UN operative who provided the vision for Agenda-21, Maurice Strong. Was it a coincidence that Maurice Strong passed away in late 2015, just as the #StrongCities Network was launched? The enlistment of otherwise incorruptible officials became possible when Trump was unbelievably elected President. The atmosphere in the liberal camp went white-hot with infighting when the DNC sabotaged Bernie’s chance of getting his name on the ballot. Pushed ahead by George Soros, the outrage helped setup a movement of righteous anarchy with the formation of “Never Trumpers”, “Not My President” and the notorious Antifa group. Loretta Lynch’s embrace of treason begins in the second paragraph of her address when she invokes the 9/11 False Flag to justify formation of a #StrongCities global police state. Loretta Lynch Assumed a Fake Name to Avoid Being Discovered Working With United Nations Foreign Agents in Order to Develop Corrupt and Unconstitutional Domestic Law Enforcement Policies under the global#StrongCities Network. The scheme enlists school officials and Law Enforcement to enact staged school shootings deceptively promoted by Propaganda News sources as Genuine Events. Former Attorney General Loretta Lynch used a fake name to conduct official Department of Justice (DOJ) business in agency emails obtained by Judicial Watch. 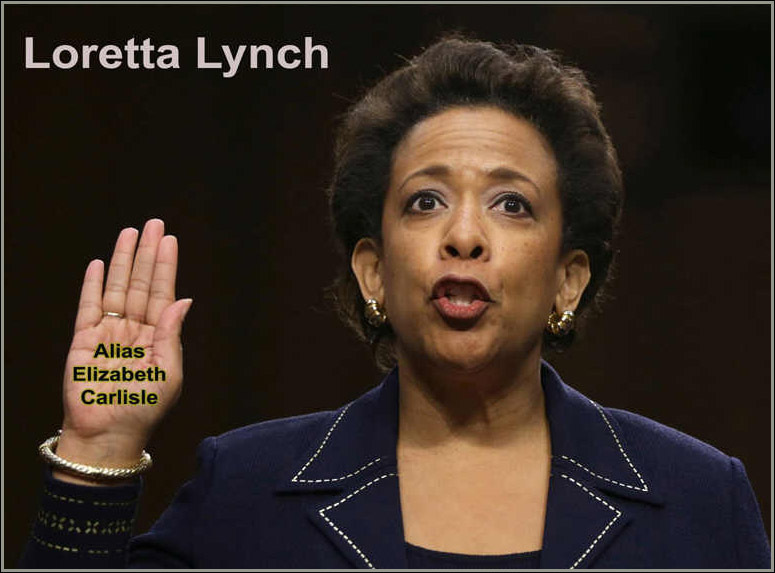 As the nation’s chief law enforcement officer Lynch, Barack Obama’s second attorney general, skirted public-records laws by using the alias Elizabeth Carlisle in emails she sent from her official DOJ account. By removing the protection of the Smith-Mundt Act, the NDAA , as passed in 2012, allows the government and media to fabricate false events and narratives as social control propaganda. The result is that TV News and Print media can no longer be trusted or distinguished from Russia, where domestic propaganda is a principal government activity. Loretta Lynch Announces Strong Cities Network? Did the UN just install a global police force? While people were in a daze of reverie following the lunar eclipse and the Pope’s U.S. visit, a very important yet overlooked announcement was made by the Department of Justice. “Launch of Strong Cities Network to Strengthen Community Resilience Against Violent Extremism” rang the bell to usher in a global-local initiative to ferret out extremism at the local level – yes, in the United States. Symbolically, it could also signal a turning point when it comes to local authorities and their treatment of the residents at large. Indeed, it is a global enmeshment that most Americans are either a) in the total dark about, or b) going hysterical over, if they’ve heard about it. On the face of it, SCN is to strengthen the bond between cities in the U.S. and global cities in the fight against violent extremism, internationally and at the local level. It will funnel help to local authorities of those cities which hop on board. What’s not well understood US citizens and gun lobby groups is the unconstitutional impact of the UN treaty where gun ownership and unalienable right to self protection is targeted for elimination by constant harassment under the UN agreement. False Flag School Shootings an SCN Agenda to Promote Gun Control. The Strong Cities Network is run by the Institute for Strategic Dialogue (ISD), a UK charity with registration number 1076660. Led by ISD (Institute for Strategic Dialogue, UK) and comprised of more than 100 cities, the SCN builds collaboration between mayors, political actors and frontline teams to tackle polarisation, hate and violence in local communities in every major global region. The network catalyses, inspires and multiplies community-centric approaches and action to counter violent extremismthrough peer learning and expert training (ie: Mass Casualty Drills). It operates with a set of fundamental principles, agreed by all members, that protect and promote human rights and civil liberties in all aspects of its work to prevent violent extremism. Another rabbit-hole theory alleges Lance Armstrong’s “LIVESTRONG” motto takes the credit. Until 2012 “every red-blooded man and woman sported a yellow wristband with the words LIVESTRONG in relief. The iconic yellow band created wildfire support for Lance Armstrong’s fight against cancer and cancer research.” (Forbes) Despite the U.S. Anti-Doping Agency report that found Armstrong had participated in an elaborate doping scheme the already popular “Strong” theme was adapted to Sandy Hook in the same year and the Boston Marathon bombing in April 15th, 2013. Still unexplored is the quiet intent to memorialize the life of globalist, Maurice Strong who died in 2015, the same year as the inception of the SCN. The Colorado Aurora theater shooting in 2012 was immediately branded as “#AuroraStrong” . By the way, Colorado is also listed as a member of the UN’sSCN charter. Now we have #SandyHookStrong, #OrlandoStrong #BostonStrong, #NewYorkCityStrong and others. 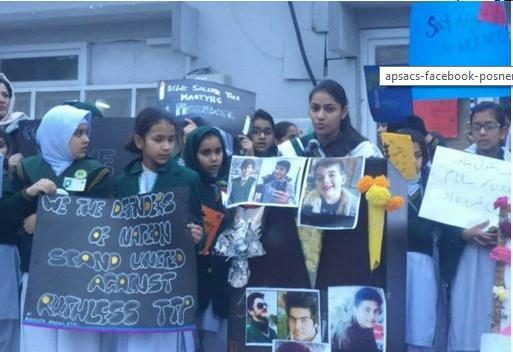 Peshawar, Pakistan is a SCN member, but the validity of the 2014 shooting at the Army Public School was seriously questioned when a picture of the child victim, “Noah Pozner” – who allegedly died at Sandy Hook school in 2012 – was heavily promoted as a Peshawar shooting victim. Noah’s alleged father “Lenny Pozner” has never provided an explanation. Snopes offered a best-guess but that explanation brings into question the validity of every image used in the Peshawar school shooting.